I don't know where to begin, from the complete upgrade of every facet of our trip to the extremely personal touches Egypt Unlimited put into this "once in a lifetime" honeymoon of ours; it was majestic, for lack of a better term. It was beyond amazing. Each and every staff member was attentive, knowledgeable and above all else personable. I'm still trying to gather the words to describe the level of service and commitment our guides provided from the moment we stepped off of the plane. SImply, second-to-none. If you have ever considered, dreamt of, or pondered visiting Egypt; please, please please, use Egypt Unlimited. You will be satisfied beyond measure. We weren't lead by average " tour guides", we were accompanied by what my wife and I now consider forever friends. We had the pleasure of spending our time initially with Harris in Cairo, and then Ahmed in Aswan, Luxor and Hurghada. We also spent time with Mohamed Mostafa on a private faluka on the Nile, where him and Ahmed presented us with the most amazing "marriage cake" that was made with the most fresh ingredients, I've ever eaten. We also spent time "upon our request" in downtown Aswan, enjoying the ambiance of the city, sipping the most tastefully delicious and robust coffee. I'm still awestruck; our trip was truly dream inspired. We learned the rich historic significance of our surroundings and at every temple, tomb-site and museum we visited; I have to reiterate how knowledgeable and helpful the entire staff was. A most fulfilling journey was had; let me just say my bucket-list is far shorter, today. We loved our trip and plan to revisit very, very, very soon. I can't thank Egypt Unlimited Tours for making our dreams come true. My wife and I love you guys and miss you already! A MEMORABLE AND WONDERFUL HOLIDAY IN EGYPT. This was our first visit to Egypt after visiting Israel and Jordan. We let Mohamad from Egypt Unlimited Tours arrange the Egyptian section of our holiday. He arranged a 4 day cruise on the Nile and arranged our own personal tour guide. We traveled from Aswan to Luxor visting many historical sites as well as experiencing local culture. In summary we found the whole trip involving mohamad was without fault. Not only the first class service as well as top quality but we were pleasantly surprised that the cost was very reasonable for what was supplied. We would also like to make a special mention of our guide, Rico [Ahmid ]. We would place him place him in the top guide in Egypt. He has a likeable personality and manner. HE spoke very good English and had excellent knowledge of Egyptian history as well as ancient writings which he explains in very simple and easy understandable manner. He became a friend. Thank you Mohamad and Rico. Hello everyone, I just want to say that my husband and I visited Egypt for our five year wedding anniversary and i must say, we had a fabulous time. I tour guides were very friendly, courteous and oh so polite. It was as if we have been knowing them for years. Ahmed Mahmoud and Ahmad Kamouna thank you both for showing my husband and I a wonderful time. We look forward to coming back. And as for the owner himself, Mr. Mohamed Mostafa, he is outstanding ! He took really good care of us. Very organized and always on time, just as his tour guides were. Once again thank you kind gentlemen for making our stay and visit in Egypt a very fabulous one. We missed you all before we even left. Again, we look forward to visiting Egypt and the three of you again. God bless ! The staff made sure that all the logistics of our travel to, while in & from Egypt was in order with no issues. Our tour guides Ahmad Kamouna & Ahmed Mahmoud were very knowledgeable of the sites and tombs that we visited. We were also able to meet the owner Mohamed Mostafa who made my wife and I feel like family instead of just a business transaction which goes a long way with us. I would recommend this team of great people to anyone looking to have a great personal experience in Egypt. I would suggest that you spend at least a week there. We were only there for 4 days and we felt rushed with trying to see and do everything that we wanted to but that's no fault of the companies. Also if heat is not your thing do not and I repeat do not travel to Egypt in the summer months (Jun & July). The heat will beat you down, the flip side to it is that there's not much of a crowd so you had time to really get in touch with what you were experiencing. I have just returned from my third trip to Egypt with Egypt Unlimited and each trip has been better than the last. From the itinerary plan to the hotels to the other activities not connected with historic sites, everything was well organized and planned and executed. I always felt safe; never at any time did I feel a threat of any kind. Not at this trip or any previous one. Now is a great time to experience magical Egypt! I highly recommend Egypt Unlimited Tours for everyone who wants to open Egypt as a colorful, authentic country and a true pearl of the world's history. We got a really unforgettable and powerful experience full of ancient history and architecture, breathtaking landscapes, amazing food, dances under the stars, native music & culture. This was my second time going to Egypt with Mohamed organizing a Spiritual Retreat for me and my Clients. He provided exceptional support and organization and personally took care of all the details for every moment of our trip. Our group was in awe with the beauty, service and safety that was present in Egypt all the 14 days everywhere that we went. We had exclusive access to the most beautiful places and secret spots off the beaten track. Egypt is very SAFE and Egypt Unlimited Tours provides the best service! I cannot wait to be back again this year with more of my friends and clients to show them the incredible beauty and spiritual energy of Ancient Egypt mixed with the warm hospitality and love of modern people. Thanks to this company, I had the perfect vacation in Egypt.I never had to worry about anything thanks to Mohamed. Everything during my whole trip, for two weeks, was taken care of. Whenever I was getting just a little thirsty, there would be water. As soon as I started to feel hungry, we were headed to get food. It was like he was reading everyone's mind in the group and accommodating us. Even in hotels and airports, Mohamed was looking out for his group, making sure everyone got what they needed. I wouldn't do Egypt without him. Good show!I would give a higher rating if I could. Thanks! This is my second trip back to Egypt using Egypt Unlimited Tours. And each time it just keeps getting better and better and BETTER, I can't wait and am excited for the next trip! A huge Thank You to the entire crew for excellent organization and great Team work, especially to Mr Mohamed Mostafa. He is flawless Travel Super Hero when it comes to all the details! Very well planned, gives attention to all micro details and all our personal needs, that make us feel like VIP during entire trip!!! We felt safe, Luxury and Comfort and didn't want this Fairytale to end. I highly recommend to everyone to travel ONLY with Egypt Unlimited Tours. This is my third trip back to Egypt using Egypt Unlimited Tours. Each time it just keeps getting better and better, which is hard to believe but true. They are flawless when it comes to details and running a smooth and safe operation. Everyone has a good time and comes away saying it was not only the trip of their life, but changed their life forever. These guys are the only way to go! From sailing on a Felucca wooden boat in Aswan, to riding a camel through a Nubian village and then being served tea in a local family's home, our trip was packed with incredible moments that will be treasured and remembered for a lifetime! If I could rate this trip and our experience more than 5 stars, I would!! Egypt is so much more than I imagined. The Egyptian people are warm and friendly. Egypt Unlimited Tours provided the VERY BEST service and attention to details and I would unconditionally recommend them to everyone! If you are going to Egypt, rely on Mohamed Mustafa to design and execute your experience, you will be delighted. He provided us a personalized service of richly created experiences that fit our specific needs. 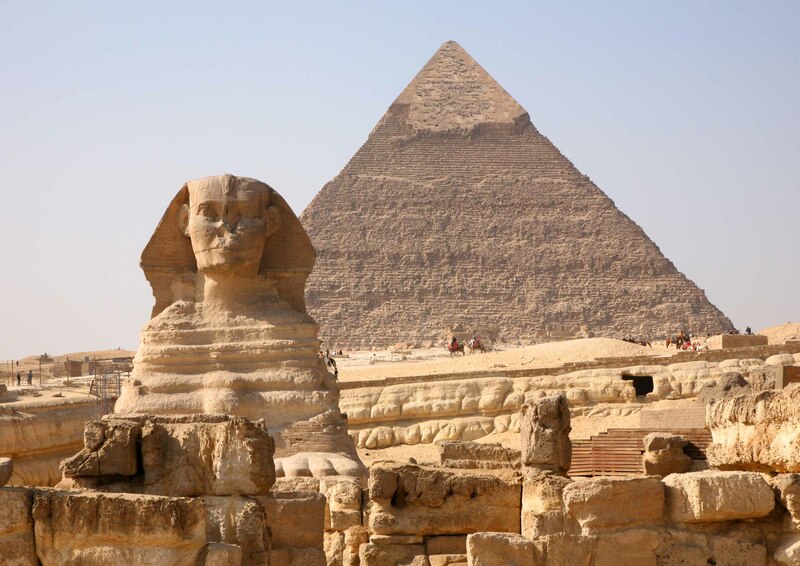 We experienced: a wide variety of historical sites; Egyptian cultural expeditions; delicious meals; the best accommodations; a wide variety of transportation; and whenever possible a taste of the local flavor most tourists would not have experienced. I would go back again and trust him to expand my understanding and love of Egypt. His entire team had the most delightful presence and made us feel special and cared for every step of the way. Very impressive and the best you can get! We had a great time and enjoyed the Nile cruise which was completely organized by Egypt Unlimited Tours. Yasser, our personal guide, explained enthusiastically the story of each temple and had a deep knowledge about Egypt history. We had an incredible experience and feelings in Egypt!! ... we enjoyed a lot the history, the current culture, the Nile river and the gorgeous Red sea. We are sure that this amazing experience was possible only thanks to Mohamed and his great team!!. Magnifique! Treated like Egyptian Goddesses! From the moment we touched down at the busy Cairo airport, we were treated like royalty. Mohamed and his wonderful team did a brilliant job with putting together the whole trip and taking care of our every need. It was akin to coming home and being with family. We would definitely hook up again with Mohamed and Unlimited Tours. We are treated like VVIP the moment we touched down at the Cairo airport.Unlimited Tours Team are friendly, trust-worthy and thumbs up for their service! Mohamed Mostafa and Team, i'm glad we used your service. Your team even helped us to fill up the immigration forms! Thank you for making this trip memorable, I love Egypt. Mohamed Mostafa arranged two fantastic days for us around the Aswan area. We had very specific ask: to fit in Abu Simbel, Aswan and the temples on the way to Luxor in very tight timescale of 2 days - these tours are usually done over a number of days but Mohamed and his team arranged everything from our airport pick up to our drop off at our Luxor hotel, perfectly. Bookings were made over email and were very straightforward with clear communication of the price and the plans despite our bespoke itinerary. We were picked up from Aswan airport with a spacious air conditioned minivan which was to be our transport for the next two days. After a quick pitstop at our hotel to refresh, we were met by Ahmed who arrived with a lovely breakfast knowing that we had been unable to get any at the hotel due to delayed check in process. Day 1 was a trip to Abu Simbel in the 11am convoy. Day 2 was an early start at 8am, but we were able to comfortably see Philae temple, unfinished obelisk, high dam, Kom Ombo and Edfu temples, and regular stops for great coffee, sugarcane juice and even a quick 10mins of the Egypt vs Congo game. Ahmed was a great guide, very knowledgeable, relaxed and flexible and made our 2 hectic days feel very calm and enjoyable. Ahmed had planned our arrival at Kom Ombo and Edfu to miss the cruise traffic meaning that we had these magnificent places to ourselves. He was a pleasure to be around for 2 days, very friendly - a great host and travel companion. We definitely recommend Mohamed and Ahmed. Egypt had always been a dream destination for me and my husband, and the reason behind approaching Mohamed Mostafa was that we had read excellent reviews about him online. When we got in touch with Mohamed, he appeared to be thoroughly professional and committed. He always replied to emails promptly and provided every detail about the tour. He was pretty reasonable as far as the charges go and helped us plan the most amazing itinerary. We loved Egypt! And a large part of this was owed to Mohamed. The service provided by him was par excellence. There were always people to receive us at airports and assist us with baggage, find our cars and show us around. All sightseeings were arranged in private cars with knowledgeable tour guides. We were very satisfied with the quality of the hotels where he arranged for our accommodation, and we loved the cruise he had selected for us. Our meals were arranged at wonderful restaurants. We were indeed very impressed. Mr. Mostafa is a downright professional and a thorough gentleman. He extended to us all assistance necessary and acceded to all the special requests we made, including driving us to an ATM late at night on one occasion, when we needed to withdraw some money. He treated us, not like guests or customers, but as friends. Ahmed and Nour, the tour guides who accompanied us, were extremely well versed with history, punctual and helpful. We never had any safety concerns in Egypt, nor faced any problem. No part of Egypt struck us as unsafe in any way. Egypt is definitely worth a visit. We recommend Mohamed Mostafa and his team whole-heartedly! It was GREAT experience with Mohamed Mostafa's agency! Mohamed is a very warm and friendly guide who makes all the arrangements very well, his agency people are also very helpful. He's professional yet always with a smile and someone you look forward to liaise with again with future tours. Thumbs up! Since the 1st email always very professional and supportive. Was a trip organized with very short pre-notice but Mohamed made it easy for us. 1 day visiting some sites/ places with Ahmed was enough about Aswan. We need to go back to visit other sites far from Aswan. Aswan is a place that you can enjoy for 3-4 days with high intensity. This agency is very good and professional that's why my recommendation. Thanks for driving us to Aroma Cafe to see the football match on Bein Sports. We will be back. Spent three days in aswan recently and used the company from start to finish (airport transfers, daytrips to Abu Simbel, Philae and around Aswan). All elements were perfectly organised by Mohamed. I was travelling as a solo female and felt very secure at all times. From the initial email contact, everything was organised to the highest professional and customer oriented standards. Beyond what was requested/ agreed in the package, Mohamed met me in person at the airport, invited me on one evening to a local Nubian restaurant for dinner,, threw in a free felucca trip and again came to the airport in person to see me off. The drivers and guides were excellent - special mention to Ahmed who Is a lot of fun and really knows his Egyptian culture and history. the price was fair. overall, if you are considering travelling in the area, I can unhesitatingly recommend this company. After much research for our trip 11 day trip to Egypt we ended up choosing Egypt Unlimited Tours for assistance and, in particular, Mohamed Mostafa the General Manager. Without a doubt, dealing with Mohamed was the best experience I have ever had dealing with a travel company representative. He went above and beyond time and time again to provide the best service possible and to ensure that our holiday was the best it could be. From meeting us personally at the Aswan airport late at night, taking us out in Aswan, seeing that a shirt I had left behind in the Aswan hotel ended up with us in Luxor (at no charge) and being in touch through the guides wherever we were to see that all was well with us, Mohamed was always looking out for our best interests. The guides and drivers he selected were excellent: always on time, cheerful and good company. We always felt safe and well informed. It all made for a great and memorable trip. We will be back to Egypt at some point in the future, and Mohamed will be the first call I make when we decide to go. Trip was amazing, a life changing one for me, personally. Wouldn't have been possible without the trip being organized so well. The relationship between me and the tour organisers [unlimited tour] was more of friendship and brotherhood. WOW. Can't wait to get back to Egypt again. Thank you! Trip to Egypt with your agency was the best adventure ever. I can't stop talking and share with my friends and Family about this amazing experience and how organized and professional everything was from your side. Can't wait to come back more. The tour agency is so helpful and caring. Mohamed Mostafa is a good organizer, we feel completely safe in Egypt, thanks a lot ! We had unforgettable memories in Egypt. A wise choice ! This is such a wonderful tour, the tour agency is so helpful and caring. You know that you can rely on them ,they treat you as a friend not a tourist and show you the best thing in their country that is hospitality. Everything is so well organize smooth and easy. Our tour guide is the best I have ever seen,knowledgeable, helpful and caring . If I go back to Egypt next time I will only go with Mohamed and Hares. Really amazing.... Thankyou so much. This trip was made special for me with the Tour operator's caring planning. They were flexible and managed to cater for the individual's never ending desires and demands. Harris is the best guide who accompanied us 24x7. Never lost patience even for a second. Amazing. I would recommend this Company along with Harris 100%. Thank you Mohammed. I was in Egypt with different people from diverse culture and different nationalities. It was a spiritual trip to Egypt to Pyramids and Temples. What I liked the best about Egypt is the two cute Farishtas who are Hares and Mohamed. There was everything they had to offer and one smile was enuf to get their nods to happily deliver whatever we requested for. For example, we needed simcards (Local) and I had almost no shoes as they had split into two, Mohamed ensured that we had them at the shortest span so that our tour was not jeopardised. Hares was a tank of knowledge about Egyptian history and he could talk on it for hours together untiring. Both are equally fun loving and it was a delight to have them around. They are bundles of joy in human form. We had unforgettable memories in Aswan and Luxor. Thanks to Mr Mohamed Mostafa's arrangement and warm welcome. A wise choice! I recently travelled to Egypt and did tours in Cairo and Luxor. After one good tour and one not so great, I was unsure of what quality of service I could expect when I booked two tours with this agency. The personalised service I received from Mohammed was above and beyond anything I expected! He was always available and able to help not only with tour related issues but was kind enough to advice and help organise other aspects of our stay in Aswan. I would totally recommend this service to anyone wanting to visit Egypt. 旅途中造訪了許多的神廟和金字塔，我帶著金字塔和神廟中滿滿的能量及祝 福，心滿意足的回台.This is an amazing place. People have to go at least once in a life time. Im totally in love with the temples, pyramids and people here. It also feel safe to travel in Egypt. Local people are very nice and passionate to the tourists. Hope I have a chance to visit again. Thank you for our tour leader, Mahamad, taking good care of us. I had a great time. Overall, we had an excellent experience. We had my 2 year old with us and i was very happy with how friendly and sweet all the staff were towards my kid. The chef on the ship (Sonesta Start Goddess) was very gifted, we really enjoyed the food. Comfortable suites. The day trips were lovely thanks to our guide (Ahmed), who was very enthusiastic and knowledgeable about history. The guide from our day trip in cairo was average - more information about the sites would have been even better. Things to improve - nothing much in terms of Egypt unlimited tours. The cruise ship can do with filtered roast coffee rather than instant! The massage lady had an extortionate rate, which is not such a good idea when tourism is quiet. Our family of five went with Mohamed to see Abu Simbel. The minivan was very new and comfortable and the guide he helped arrange was knowledgable. We had a great time. Afterwards, he even helped us to get train tickets to Luxor. His service is excellent. Thanks again. Mohamed and his team are professional and you will have fun and relax to go with unlimited tours. Everything you need you could look for Mohamed and he has his way to make it happen. I spent 3 weeks in Egypt recently and Mohamed from Egypt Unlimited did an excellent job arranging my portion of the trip to visit Abu Simbel, Aswan and a 3-night Nile Cruise up to Luxor. It was very kind of him to meet me at my hotel even though I arrived after midnight, then he actually returned to my hotel again 3 hours later since that was the time of departure for the Abu Simbel tour, and introduced me to my personal tour guide who accompanied me all 3 days on the Nile Cruise. Mohamed was also very sweet to provide me with a portable WiFi hotspot for free during my tour. I had contacted several tour agencies in Egypt before booking with Mohamed, and he quoted me the most reasonable prices, and did not even take a deposit before my arrival. I also want to mention my tour guide Azzazzi, who was extremely knowledgeable about Egyptian history and explained all the temples and history of Egypt very well, I learned so much from him, he was a such a nice and honest man. I had a few other tour guides on other parts of the trip and by comparison Azzazzi was the best at explaining a lot of the Egyptian history. Lo mejor del viaje sin duda haber contratado sus servicios y haber ganado un amigo . Thanks to mohamed Egypt we found the best place to know and feel that you have a friend there Highlight of the trip certainly have hired their services and have gained a friend. I went to Egypt for 2 weeks holidays in July this year. Before I went, everyone said Egypt is a very dangerous place due to its political situation. However, Egypt is always a place that i love to go. That's why I went there as per my original plan. 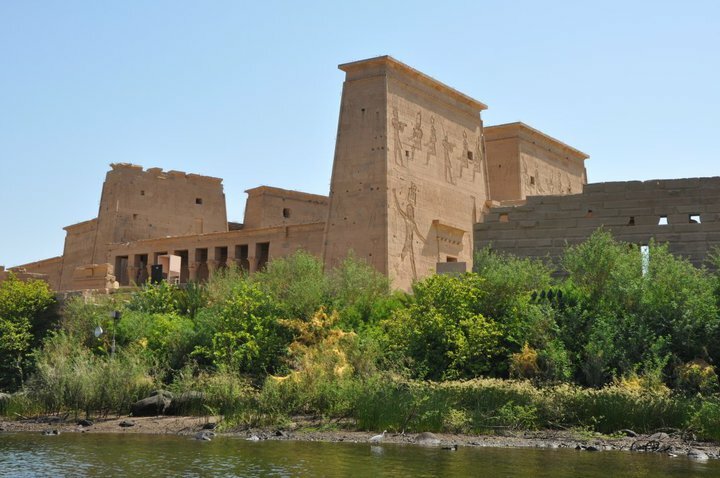 I went to Aswan for a Nile Cruise as well as some local attractions such as visiting the Nubian Village and morning Nile cruise and some temples. It was such a wonderful experience. I joined Egypt Unlimited Tours for the local tours and their service is very good. Their guide Mohamed offered us a great service as well as many extra assistance that was beyond his service scope. Anyway, a big thank you to him. I strongly recommend people to visit this beautiful country. By the time I was there, I don't feel anything unsafe and everything was perfect. I would definitely go back to Egypt again. Wow, what amazing service. 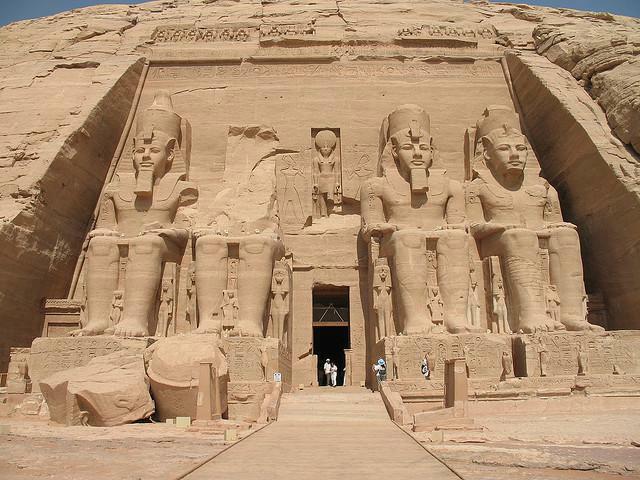 We booked through Egypt Unlimited for our Abu Simbel day trip and Cairo day trip. The owner Mohamed met us at Aswan airport and explained everything before handing us over to our awesome guide Mustafa. Mustafa was so friendly and knowledgeable and took lots of photos for us in just the right spots to get the best pics. The owner met us after the tour and took us to a great local restaurant on the river for dinner before escorting us back to the ferry to get the boat back to our hotel. In the morning Mohamed picked us up and transferred us to our Nile cruise boat just to be kind. It wasn't included in our day trip. In Cairo our guide was prompt and courteous and Mohamed called us at the end of the tour to ensure everything went smoothly. In terms of guides, Mustafa was the real stand out!! My husband and I can't thank Mohamed enough for a wonderful Egypt experience. I wish we had booked the whole trip through him! It really was 5 star service. We arrived from Cairo to Aswan with no prior arrangements. The night we arrived we decided we'd benefit from a guide to help us navigate and learn about the many interesting sites in Aswan. After reading the reviews in Trip Advisor we sent an email to Egypt Unlimited asking about a tour the following day. Within minutes we received a reply from Mohamed. He offered us a tour guide and driver to take us to all the places we wanted to visit at a very reasonable price. Our tour guide was fantastic. He was both very knowledgable and very personable. We learned so much!! And he was willing to answer any question about anything (e.g. we wanted to know about traditional Muslim customs). He was smart and conscientious with a nice sense of humor. We had originally booked a half day tour but after a couple of hours we asked if it would be possible to continue touring the sites with him the whole day. Mohamed is very responsive and within minutes our guide had confirmed with Mohamed that he would be able to continue with us all day. Our guide helped us plan our afternoon activities. We were quoted a very reasonable price to extend the tour by Mohamed and we continued on. We highly recommend this organization. Everything is taken care of, fees are paid, boats are arranged for, our car and driver was always ready when we needed it, and we had our expert guide at our side at all times. It was a very interesting, fun and memorable day. My husband and I travelled to Cairo Egypt last month and contacted Mohamed with Egypt Unlimited Tours who promptly responded to my email. Our tour guide, Ahmed, an extremely personable and knowledgeable young man, We had an amazing time with him seeing the sights of Egypt. It's unfortunate that tourism has gone down to this incredible country rich in history. The people there are so welcoming and friendly and so happy to have tourists visit their country. Don't hesitate to go to Egypt and contact Hares Mohamed if you want to see the sights! This had to be the most fun and smoothest run trip I have ever been on (and I travel a lot). Safety was never a factor and getting around was quite easy. Every detail was seen to by Mohammed, our tour leader, and Hares our very knowledgeable guide. These guys are awesome and really know how to make your trip memorable. The people of Egypt are so heart-warming and welcoming. I only wish I'd gone sooner! My wife and I reserved the Aswan day tour and it was the best experience we've ever had with any tour company. Our flight landed a few hours late, but our tour guide waited the whole time for us to arrive. We had an amazing day with our lovely guide Ashraf from Egypt Unlimited Tours. Ashraf was extremely knowledgeable and very helpful - he also has excellent photography skills which have made some fantastic memories for us! The sites we visited were brilliant and I would definitely recommend this trip and this company and guide! That was a place with a quiet and beautiful temple. who were our guide, and it became an unforgettable place. We have spent the great time at the Aswan. This is a recommended place to visit. Hares & Mohammed,Thank you for your services. Благодаря нашему замечательному гиду и хозяину компании наша поездка была похожа на сказку! Мы посмотрели всю страну и открыли ее для себя с новой стороны! Одним из самых ярких впечатлений стало световое шоу в Абу-Симбел - это был настоящий подарок нам! А также наше путешествие и ночевка в белой пустыни - незабываемо!!! Спасибо Egypt Unlimited Tours за вашу заботу и гибкость! В следующий раз только с вами! Thanks to our wonderful guide and owner of our trip was like a fairy tale! We looked all over the country and opened it for themselves in a new way! One of the most vivid impressions was the light show at Abu Simbel - it was a real gift to us! And our tour and overnight in the White Desert - unforgettable !!! Thanks Egypt Unlimited Tours for your concern and flexibility! Next time, just you! Прекрасный опыт сотрудничества! Невероятная гибкость хозяина компании дала нам возможность полностью изменить маршрут и открыть для себя сокровища пустыни Сахары вместо запланированного банального отдыха на Красном море... В итоге мы посмотрели всю страну с юга на север - Круиз по Нилу, все основные храмы, Каир и поездка в пустыню... одно из лучших путешествий в моей жизни. Все наши запросы решались быстро и без каких-то сложностей. В этом году снова едем группой с помощью Egypt Unlimited Tours - ни за что бы не согласилась сменить их на кого-то другого. Высшая рекомендация! Wonderful experience of cooperation! The incredible flexibility of the owner of the company has given us the opportunity to completely change the itinerary and discover the treasures of the Sahara desert instead of the planned banal holiday on the Red Sea In the end, we looked all over the country from north to south - Nile Cruise, all the major temples, and a trip to Cairo desert one of the best trips of my life. All our requests were resolved quickly and without any difficulties. This year we go again with the help of a group of Egypt Unlimited Tours - for what would not agree to change them to someone else. Highest recommendation! I had never been to Egypt before I went for the first time in Oct/Nov 2013. It was the trip of a lifetime! We were magnificently looked after and guided wherever we went, everything was PERFECT, and never for a second was there a doubt that anything would go wrong. It was all perfectly planned and executed from the first moment I got off the plane and spotted the gentleman from Egypt Unlimited holding up the sign with my name on it, to the last moment when the very same gentleman from Egypt Unlimited escorted me through customs and into the gate to wait for my plane back to the U.S. Honestly, I couldn't have thought of or asked for anything better than the experience I had. And also our Egypt Unlimited tour manager proved his weight in gold when our small group decided not to go to Abu Simbel the day before we were to go, and instead wanted to have some experience locally, with people who live in the area of Aswan. Immedately he responded to our request and we had a wonderful day, which he put together for us on the fly. I loved everywhere we went and thoroughly enjoyed every minute of my tour, but Aswan captured my heart. It is a truly wonderful city, modern and youthful and diverse-- in the best possible way blending ancient with modern Egypt. I can't praise this tour company highly enough, it is the standard by which all other tour companies should be measured against. Bravo Egypt Unlimited! I loved it so much I'm going back again in December 2014! We spent quality time in Aswan enjoying our custom made trip: We decided one afternoon to go the next morning with The Bird Man of Aswan. We ferried across from Elephantine Island and got on a smaller skiff skillfully piloted by The Bird Man through slight rapids in the Nile.We saw many species of birds that were on migration. A real must to experience this adventure as you will learn so must about the Nature of the Nile and the colorful birds are so very present in numbers. I have birded many places in the world and this 4 hours spent was quality. We went with The Bird Man by his skiff to a Nubian Farm. We learned about irrigation and what types of citrus are grown as we walked through the grove. When we exited from the grove, baby camels greeted us!! They were fenced and eager to have us feed them the alfalfa that was provided for their lunch. We ended our visit with a tea ceremony done by one of the family members. I was very impressed by Mohamed Mostafa, owner of Egypt Unlimited Tours based in his home city of Aswan, as he listened to what we wanted to do and made it possible the next day. Also, he accompanied us on our ENTIRE 16 day adventure in Egypt and paid attention to every detail. The Nubian Museum was another request and we had a short time to be there. I recommend including the Nubian Museum first in your tour of Aswan as it gives you valuable clues and answers to future ? 's you will have about Aswan. We were also able to visit spontaneously an underground home area of Mary and Joseph and young Jesus. It is usually locked. It was a highlight of the trip for many of us as the energy of these 3 people was intense with love. I highly recommend booking an adventure and tour with Mohamed as I found he was very attentive to every detail. He is willing to plan many months ahead and also on the spot. I find this very refreshing as you never know the interests of people till you are there. Even when several men wanted to go many hours in the desert in search of less known tomb. They had a very magical and remember-able experience. Mohamed provides a comfortable, clean bus, with a cooler with water always available. Plus, the restaurants he chooses for lunch are interesting and have a variety of delicious foods suitable for vegetarians and meat eaters. I encourage you to go book your tour as it is very safe to go to Egypt. My name is Ramesh Chandran who recently used the services of your company while in Egypt. I want to thank for the excellent services provided by your professional staff through out our journey. The guide they had for us was also a professional with a good understanding of the Egyptian history and culture and we thoroughly enjoyed his company through out our journey. We have decided to use your company and also your guide - Mr.Harris for all our future tours.